It’s Thanksgiving week here in the US, and we thought we’d share a few things we’re thankful for during this busy time. Too often, we’re caught up in the day-to-day, Thanksgiving Day meal planning, and may just be distracted by our excitement for an afternoon pumpkin spice latte. We believe that during the busiest of times, it’s more important than ever to reflect on life’s blessings and reflect on the ways we’ve given back to the community. 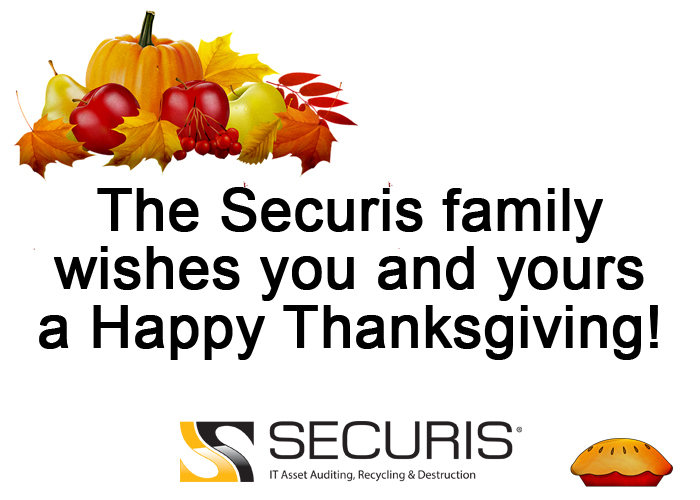 First, we’re very thankful for you – our customers and readers, and we wish you the happiest of Thanksgiving holidays. May your day be filled with laughter, family, warmth, and thankfulness (and pumpkin flavored everything, if you’re into that). We’re thankful to be able to give back in ways that truly affect affect our local and global communities. We’re blessed to be able to help on a local level by expanding our program to help train high school students with disabilities. Read the article here. We’re also a proud participant in an annual walk to raise funding toward a cure for type 1 diabetes, an issue near to one of our team members. On a global level, Securis sponsors a young woman in Moldova. Victoria, a 16-year-old who loves the color yellow, is at risk. In Moldova, the government institutional care of abandoned and orphaned children only lasts until they turn 16 years old. At that time, without support, they’d be on their own with nowhere to stay, and no family. Learn more about Victoria and how you can get involved with the organization here. We’re thankful for laughter, delicious stuffing, family, and yummy recipes like this alternative to turkey for balsamic prime rib with pumpkin gnocchi. Happy Thanksgiving! We wish you blessings, health, and a fully belly during this holiday and all year long.